Members of 206 Squadron, supported by LXX Squadron Engineers based at RAF Brize Norton have been practicing their skills during beach landing trials in Southern Wales. Beaches are routinely used by the RAF for training operations with other tactical airlifters. The A400M showcased its superb tactical capabilities on natural surfaces by performing take-off, landing and taxiing manoeuvres. “The advanced flight deck of the A400M and cutting-edge fly by wire controls made this task easier to fly than other platforms. We are now looking forward to the challenge of conducting this operation using night vision goggles later in the trial,” said Flight Lieutenant Cheng, 206 Squadron Pilot. “My specialist team has worked hard to deliver this trial and it has showcased the tremendous tactical potential of the A400M. Once this capability is handed over to the front line it has the potential to have a great impact on operations,” said Wing Commander Neil Philp, Officer Commanding 206 Squadron. 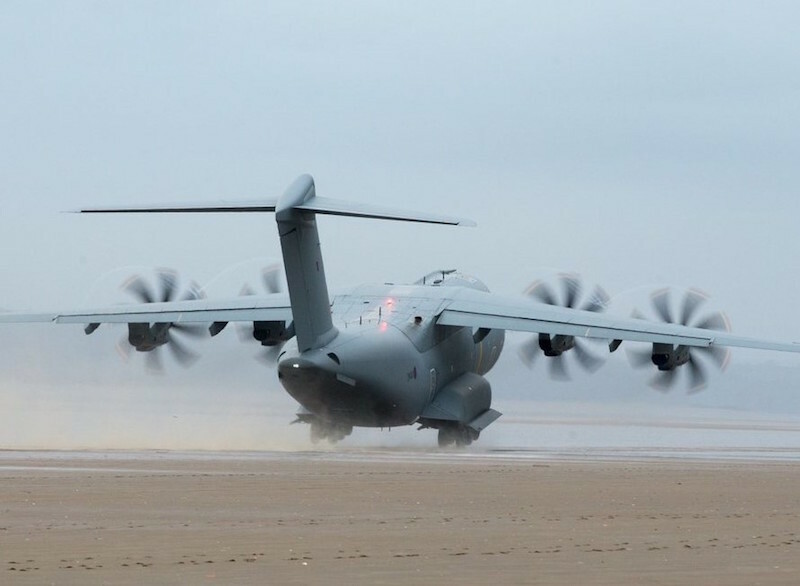 The versatility of the A400M Atlas means it has the capability to land on a wide variety of surfaces including natural surfaces carrying a very large payload. This tactical capability was demonstrated during trials on Pembrey Sands beach. -- Dec. 12, 2018 at 18:00 UT: Added Royal Air Force video.